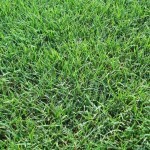 Our turf products include high quality sod grass varieties of St. Augustine Grass, Centipede Grass, Zoysia Grass and Certified Tifway 419 Bermuda. 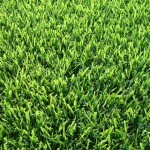 All are grown to the highest quality standards for a lush, beautiful and durable landscape turf to enhance your home, development project or commercial property. 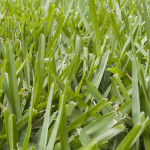 Our turf grass products are specially selected to be among the most heat resistant and durable varieties, grown to thrive in the hot conditions of the southern U.S.
You can learn more about each of our turf grass products at the pages linked above, and find more information on grass care at our Turf Knowledge page. Our unique growing system is designed with a single goal in mind: top quality of your finished products. 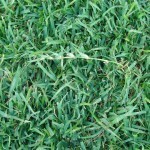 We rotate out our turf grasses with other crops to build up the nutrients in the land and to control weeds, foreign grasses, disease and insects. In addition to our turf grass sod products, a few of the other crops we grow includes corn, soybeans, wheat, and peanuts (sold for commercial purposes only). The farm includes 3,000 acres of row crops which are rotated continually, along with 1,200 active acres of turf grass. River View Turf Farm is here to serve the needs of our customers. Visit our Ordering & Delivery page for information on our easy and fast purchasing and shipping program or feel free to Contact Us at any time to let us know how we can help.